Nando's here in Oman are running a little social media campaign on Instagram. 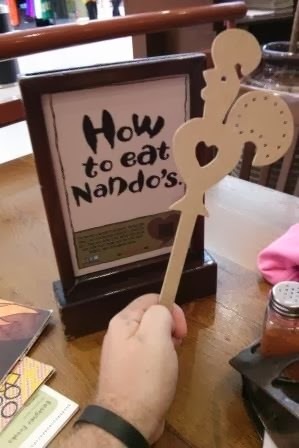 It's pretty simple, all you need to do is pick up a model of Barcy (their chicken mascot) the next time you're in Nando's this January. Then simply Instagram a picture with Barcy in it (on an "adventure") and tag @NandosOman and #BarcyInOman and thats it... the best picture each week will be selected and free dinners will be awarded.